This guide will put you in good stead for when you make the move to the UK, and act as a valuable resource as you start the next exciting chapter of your life in a new and exciting country. So you’re thinking of relocating to the UK but not sure where to even begin preparing for a move halfway across the globe? In fact you might be so panicked that you’re even thinking of taking out some Uncle Buck Payday Loans to cover the cost of the expansive trip, however, short-term loans should only be used in the case of financial emergencies so save that for a far more pressing issue should you need it. 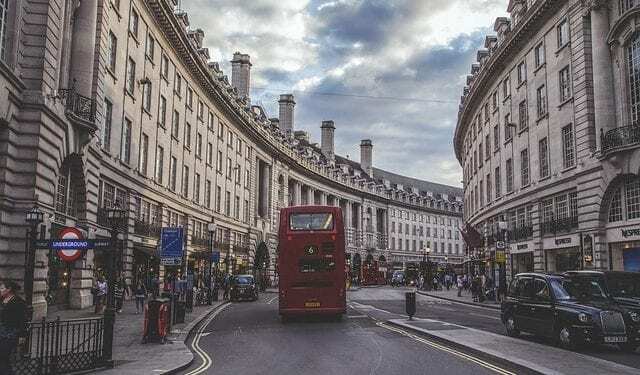 Instead, we’ve culminated a guide with our 5 top tips for life in the UK as an Australian expat so that you have all the knowledge you could possibly need. If you intend on committing a substantial amount of time to living in the UK, say a year or 2, a Tier 5 Working Visa will be the best choice for you, this will enable you to stay in the country for a maximum of 24 months. Unless you have a distant European ancestry which means you qualify for an EU passport, then the Tier 5 working Visa will likely be the only viable option for you to live in the UK, what’s more, it also gives you the opportunity to take trips to the rest of Europe as well. When travelling to the UK, you’ll notice that a house’s rent heavily depends on its region; properties in London are naturally high in price, while as you venture further north, the monthly cost of rentals will decrease. So to make sure you’re getting the most bang for your Australian bucks, whatever area you are intending on staying in, use an accommodation app to search for the most affordable properties. Rightmove, Propertyfinder and Zoopla are just some of the apps you can use to find accommodation that aligns to your price point. Also if you so desire you can make use of a relocation agent, however, this service will likely incur an additional cost. Moving to a new city, let alone an entirely different country, can be an incredibly daunting and quite lonely affair; however, there are efforts you can make to ensure that you don’t experience those emotions. One such method would be to join a Facebook group which contains other expats living in the UK. There you’ll be able to attend monthly social outings, see posts about house shares and even potential job openings as well, all of which will help to make your adjustment period to the UK a whole lot easier. Using an Aussie mobile phone in the UK will only result in two things, an extortionately high bill and a faulty sim card that won’t even be able to connect to networks. It is for those two reasons that you should purchase a UK mobile as soon as possible. Purchasing a new phone doesn’t have to be costly either, you likely won’t be able to get a new smartphone on a finance plan anyway due to your lack of a British credit record, so the best option would be to buy second hand. With a number of pay-as-you-go and pre-paid mobiles available on the high street and online you’ll be able to get in touch with family and friends in no time. Now we know, they speak English in the UK, however, to ensure that you can pick up all the slang terms on your journey around the beautiful country, it might be best to research some colloquialisms before you leave for old Blighty (Britain)! Dialects vary from the South to the North, from the East to the West, so we recommend that you watch some British TV shows before you hop on the plane, to ensure you’re not left in bewilderment during an exchange with a local. Peaky Blinders, Top Boy and Coronation Street should all serve as good starting points so that you can get a good idea of what each British accent sounds like. We hope that this guide will put you in good stead for when you make the move to the UK, and act as a valuable resource as you start the next exciting chapter of your life in a new and exciting country. Happy Travels!